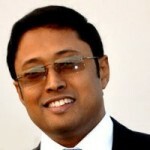 Arijit Bhattacharyya Founded VirtualInfocom. He came from a family that had no business background. He used to listen about various corporate aspects through his father and was inspired by stories of Tata, Birla and Ambani who created lots of companies and hence jobs and wealth for others.